Valerie Rose was a Secretary/Administrator during her working life, eleven years of it working for Voluntary Child Protection Agencies. In her later working years she began training in complementary therapies, starting with Reiki and moving on to ColourPuncture, Colour Light Therapy, Ito-Thermie, Emotional Freedom Technique (EFT), Spiritual Response Therapy (SRT), Deeksha (Oneness Blessing) and OldPain2Go. 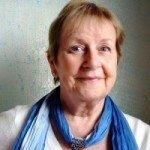 Valerie has been a Practicing Holistic Therapist since 1999 and has now expanded her skills to include Consultancy in the gentle, flexible and comprehensive therapy of SuperConnect. Valerie has lived in Milton Keynes, Buckinghamshire, for 42 years, where she resides with her sons, step-daughter, grandchildren and great-granddaughter all living close by. Her other interests include gardening, family history, art and poetry. Valerie is an Executive Consultant of SC1, SC2 and SC5. She works both in person and remotely.